The second Seasonal Pinup from Kingdom Death, after the Halloween one (will we see Easter Bunny next ? Valentine’s Day ?). 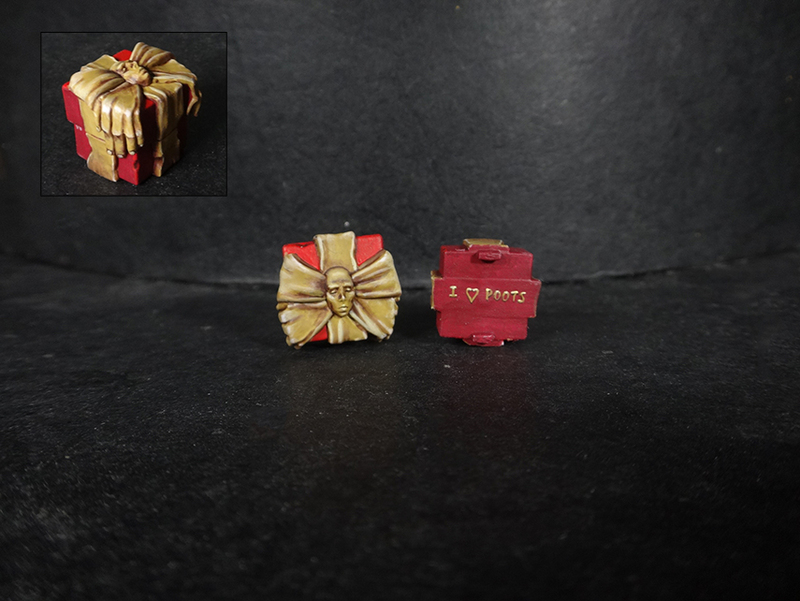 A 54mm model with an uncommon composition. Featuring the Twilight Knight apparently fighting a Mimic Christmas Sack ? Sounds about right. 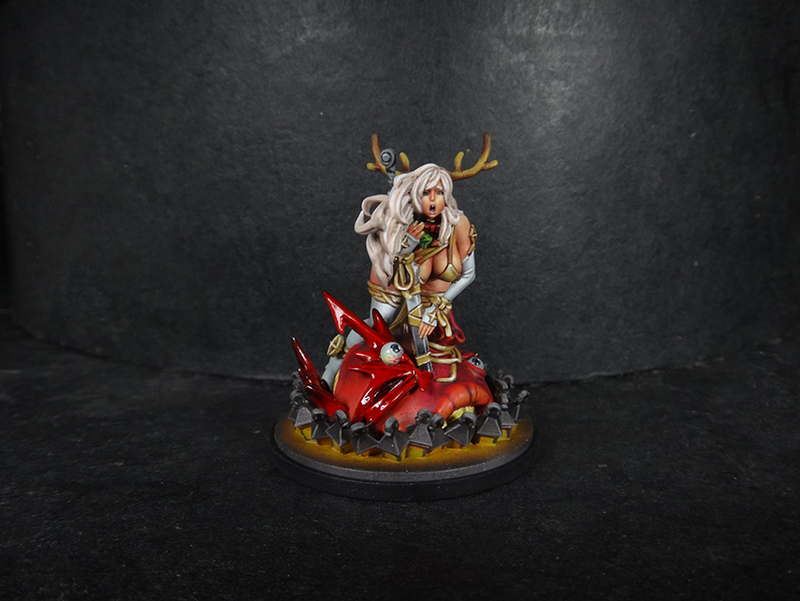 When painting this mini did you leave the lanterns off until you had the rest painted or was it fully assembled? I’m new to this and this is the first mini I’ve recieved from KDM. I’m a Satan backer of the second Kickstarter and feel a little out of my depth. Thank you for any advice you have. Hi Justin. For this particular mini, we kept the lady separated from the lanterns until almost the very end of the painting. Though in a general way, we tend to build everything and then paint. Some people find it easier to paint the parts separate, so you can access relatively hidden area more easily. In our case, we find it is not worth the hassle of having to deal with poor joints later when it’s already painted. You’ll have to figure out your preference. KD models can be complicated, with a certain depth and so places difficult to reach with a brush. Though, often, those places will be places where you’ll want shadows, so we find you don’t really need a perfect access to deal with it.